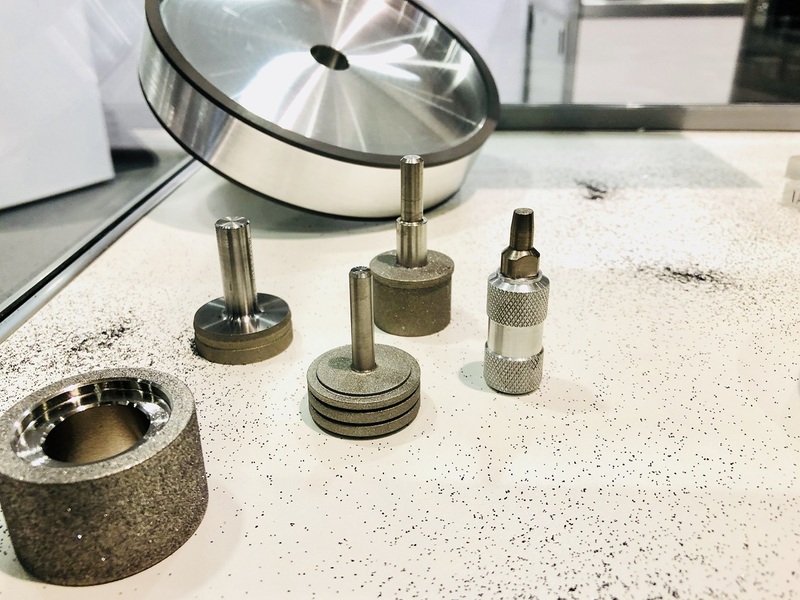 Unirock SA – Développement suisse / Schweizerische Entwicklung / Swiss development » Our company develops and manufactures a wide range of diamond and CBN grinding wheels since 1991. 9A3 Wheels for Agathon machines. Resin binder for finishing and hybrid resin-metal binder for drafts/rough. Wheels for shape machining in ceramics and sapphires. Wheels shapes 1A8 and 1A1R. Resinoid and metallic binder usable on hard metal, ceramic, sapphire, hardened steel. Resinoid binder for dry work. For heavy metal, hard metal, ceramic, steel, brass, etc. From the 12th to the 23rd of June at Palexpo, Geneva at our Booth B17. Unirock and Sarubin will be at the SIAMS 2018, the trade fair for microtechnology production tools. Unirock will display its Diamond and CBN Wheels, perloirs, 3M flexible abrasives and grinding pins with vitrified bonds. The fair will take place from the 17th to the 20th of April in Moutier. Opening hours from 9.00AM to 5.30PM. M. Gabus and his whole team look forward to meeting you at Booth A-14 in Hall 1.2. Our company develops and manufactures a wide range of diamond and CBN grinding wheels since 1991. Our products have excellent quality and very competitive delivery times.